Your new schedule seems so hard, however you create lovely things. I liked your work on the block and your swap tin is so lovely. 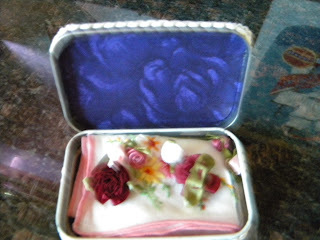 Skye's tin did turn out lovely and hankies are always nice:):) Wow your busy. Well you did a nice job on the block!! 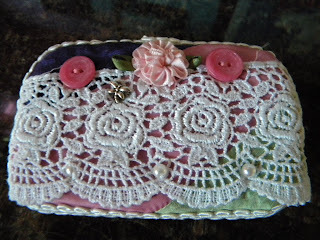 I am the proud owner of one of your pussel pieces from Pat's swap! thank you! I too am in CA and have relatives in Roseville!